The brief: To brand a spacious reception area with large format banners. 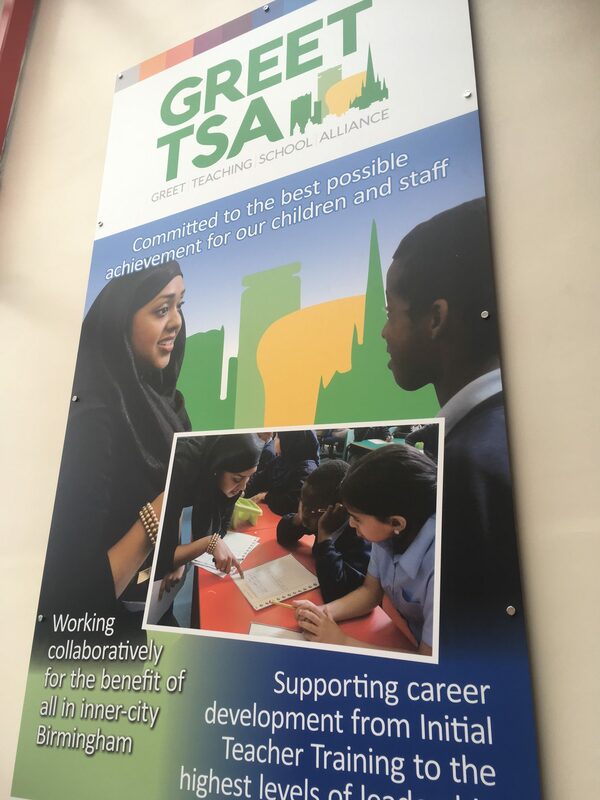 The process: Two Thirds Design were invited to Greet Primary School to produce large format panels to brand the reception space. 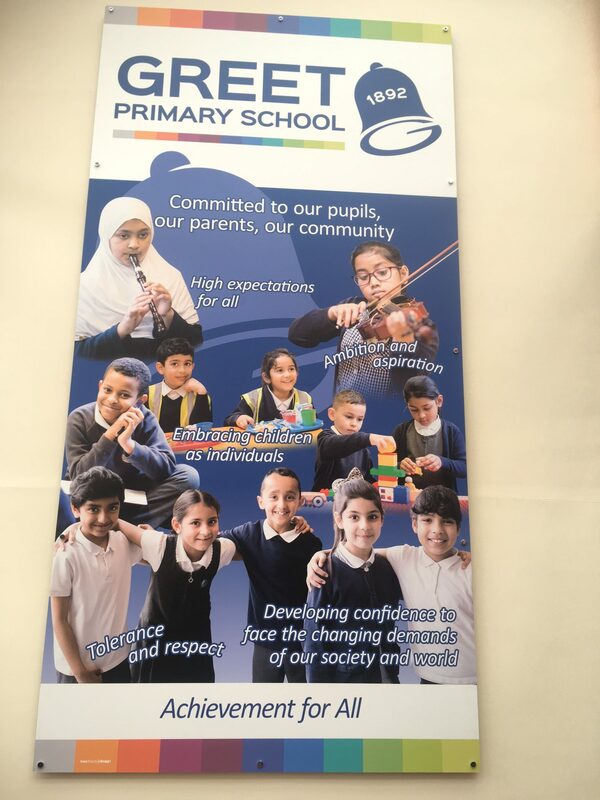 We used a photographic montage style, combining high-resolution images with statements explaining the key areas the school focus on. The end result: Three permanent 3-metre high di-bond panels, which don’t expand and contract with temperature extremes, finished with an anti-glare laminate to stop reflections and aid visibility. 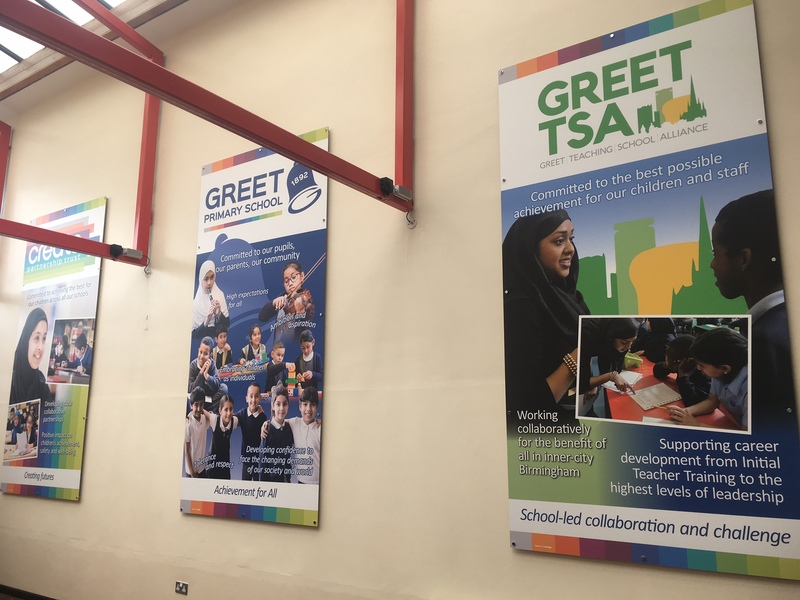 The boards welcome visitors and parents, and explain Greet Primary School’s commitment to pupils, parents and community.